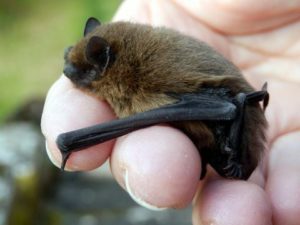 Home » Ecology » How Long is a Bat Survey Valid For? Typically, bat surveys are valid for a period of one year. This is because bats are mobile animals that can move roost sites both within and between years. This mostly applies to foraging roosts, which are temporary locations where bats rest intermittently at night while they feed, or during the day when they are inactive. Depending on where they are located, you can often find moth and butterfly wings underneath a foraging roost, which are the discarded scraps of the bats’ indigestible evening catch. hibernation roosts, where bats hibernate over the winter. The reason that bat surveys can become out of date so quickly is that surveys carried out in June could completely miss roosts that are not occupied until much later in the season. Similarly, foraging bats are at the whim of where their food accumulates, which can change from year to year depending on weather patterns. This means that for the purpose of advising developers whose projects run over more than a year, we might need to repeat our bat surveys annually, or at least several times in the summer, according with regulatory guidance. Sometimes a regulator, such as a local authority planning officer, might accept a slightly older survey report if there is a very low population of bats or another extenuating circumstance. You can read some information here on where you might find bats. If you are interested in learning more and would like a bat survey to be undertaken, contact our friendly consultants for a no obligation discussion.